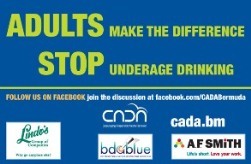 "An estimated 10,000 passengers have taken advantage of the Let Us Drive Campaign run by CADA. 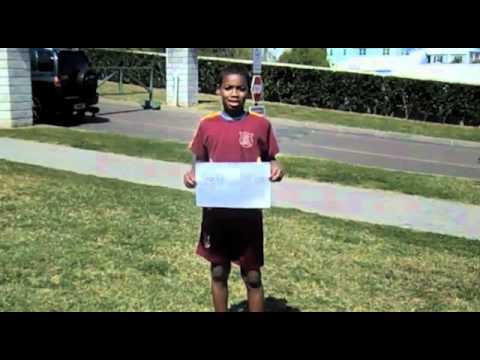 CADA started the campaign five years ago. The charity’s chairman Anthony Santucci yesterday issued the annual call for holiday motorists to abstain from driving while under the influence of alcohol. “We want to make sure everyone has an enjoyable Christmas and New Year’s Eve. “The vast major of road traffic collisions and fatalities on Bermuda’s roads are directly linked to the influence of alcohol and/or drugs” said Mr Santucci. He urged motorists to use a designated driver or take a cab home after celebrating. Free rides home are offered throughout the year from 3.15am to 3.45am on Friday nights, with taxis departing from Reid Street outside the LOM building in Hamilton. He thanked Bacardi Limited, Burrows Lightbourn, Gosling’s, the City of Hamilton, and the Fairmont resorts for their ongoing sponsorship. Making the announcement was CADA’s Chairman, Mr. Anthony Santucci, who said, “CADA’s board, staff and volunteers have been out and about around the island, this weekend, putting up banners and signs as a reminder to residents not to drink and drive. The two key messages we are focusing on this holiday period are ABCD – Always use Bus, Cab or Designated Driver and Adults Make the Difference Stop Underage Drinking. To view the Cup Match bus schedule for Route #7 click here. Or. To view the Cup Match bus schedule for all other routes click here. Anthony Santucci stated, “CADA recognizes that more alcohol than usual will be around and available during the Cup Match holiday weekend. As responsible adults, we have an obligation to ensure that alcohol does not get into the hands of our young people. It is harmful to give, buy or serve alcohol to anyone under the age of 18. Additionally, underage drinking is known to significantly increase the risk of a young person becoming addicted to alcohol. “In order to reduce the risk of children and young people drinking alcohol, during Cup Match and at any time during the year, we, as adults, should talk to them and let them know why alcohol is harmful for them, click here to see how to speak with children about alcohol. Click here to see how to talk with teenagers about alcohol. In aid of corporate and personal responsiblity, the Bacardi Limited Leadership Team yesterday held a fundraiser, with funds raised being donated to CADA - Encouraging Responsible Alcohol Behavior. Mr. Anthony Santucci, CADA’s Chairman, stated, “CADA was extremely pleased to learn Bacardi had selected us as the recipient of their community project this year."